A COMPLAINT by the Constitutional Court against the conduct of UPND lawyer Ms Martha Mushipe where she verbally abused the judges during the presidential petition has been referred to the Legal Practitioners Committee of the Law Association of Zambia (LAZ) for determination, association president Linda Kasonde has confirmed. Ms Kasonde said with respect to the conduct of lawyers during the presidential petition, all legal practitioners were officers of the court and were duty bound to respect the courts and to observe the rules of professional conduct. 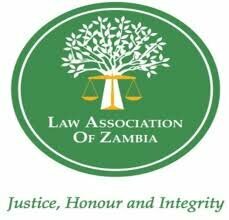 She explained that following the recommendations of the Constitutional Court, LAZ would refer the complaint by the court against the conduct of Ms Mushipe to the Legal Practitioners Committee of LAZ to determine. In a statement issued to the Daily Nation, Ms Kasonde said the association was hopeful that once Zambia had a president in office, the country would unite behind that candidate who would be in office to serve all Zambians regardless of political affiliation, social status or religion. She said LAZ had noted the public anxiety and concerns over the events surrounding the 2016 presidential petition and the performance of the Constitutional Court. “We also note the public’s confusion at the various interpretations of the provisions of the Constitution on how a presidential petition may be conducted. As the public is well aware, the amendments made to the Constitution are very recent having only come into effect on January 5, 2016 and therefore, the different interpretations of its provisions have yet to be tested and finally determined in a court of law. “LAZ had welcomed the fact that the first ever presidential petition following the constitutional amendments had given the country the opportunity to create judicial precedence that would guide and instruct the nation on how such issues can be resolved in the future without the need for further recourse to the courts,” Ms Kasonde said. She said LAZ believed that it was unfortunate that the issues raised in the presidential petition were not heard and finally determined on merit by the Constitutional Court. Ms Kasonde said following the final ruling of the Constitutional Court, questions had arisen over the decision of the Constitutional Court. She, however, said that the questions were currently before the courts of law and as such the rules of court restrain LAZ from commenting.